Can I add Special Order Options to the POS Order? Aside from adding your 3dcart store products to orders, there may also be situations where you need to alter the order itself. 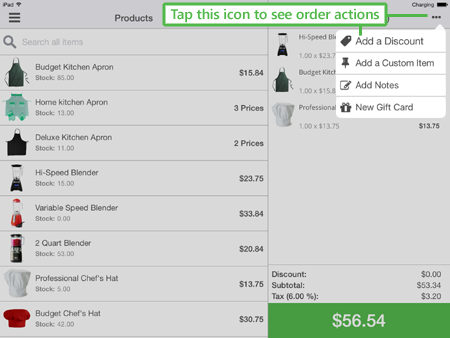 While creating an order, look towards the top right of the POS order area and tap on the action menu icon. This menu will give you four options for the order. Click on the links above to review each option in more detail.